How do I monetize my blog? 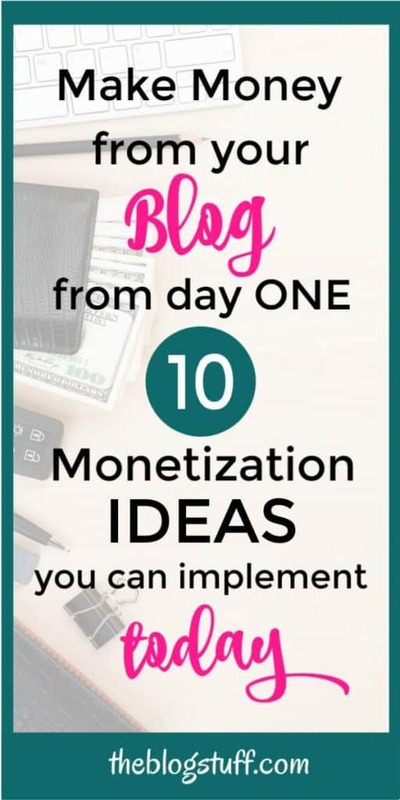 If you are looking for the best ideas and ways to monetize your blog or site check these 10 monetization strategies to start making money from your blog. # This post contains affiliate links. Check out the disclosure policy for more details. 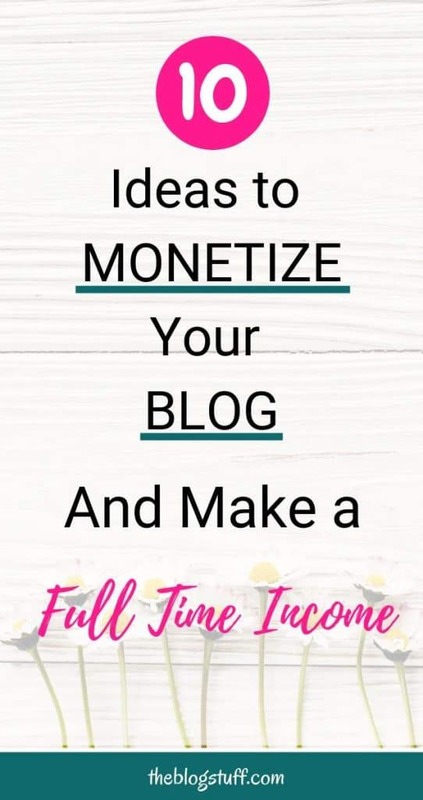 Whether you are a beginner or have been in this blogging field for a while there comes a time when you need to start earning money from your blog. If you are a beginner pick a way to do it without pumping more money into developing your site. This is important, don’t get into debt before you start making money. # One more thing before continuing. Many people ask: when should you monetize your blog? Before you lunch your blog or after? 1. I already knew what I wanted to recommend because I use those products and love them. 2. It will take me a long time to go back through all my blog posts and monetize them. I’m really organized and I like to have everything in place before I move on. 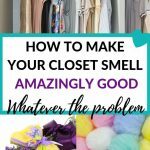 What I did to make sure I have an audience long before I created this blog was to set up a brand new Pinterest business account. Just sharing other marketer’s content and following them. This way when I add my blog to that account I will have some followers and content. Most people do it the other way around but is up to you to decide how do you want to do it. The only real thing is that without traffic we don’t have a blog so, whatever you decide, focus on getting visitors as soon as you have some content. Even if you have the best monetization model in the world nothing will happen if no one is visiting your blog. ✅ If you want to increase traffic (and who doesn’t) to your blog/site enrol in Lena’s Free Mini Traffic Challenge. Is a 5 day mini course in which you have to perform basic tasks to boost your blog’s traffic and earnings. Is really a no-brainer! Below you will find 10 popular ways you can use to make extra money from your blog. Google adsense is a very popular choice with beginners and a free way to earn money as a blogger. Is a good place to start and gain some experience. With over 2 million current users, this program lets publishers within Google network to place adverts that are targeted to your audience. You can earn money based on impressions or clicks. Of course, the more traffic you get the more money you can earn. You need a site/blog to get accepted. You are also allowed to place ads on Blogger or your Youtube channel if you meet their requirements. Adsense can, however, reject your application for a number of reasons. There might be several reasons as to why your application is rejected. These issues include having thin content, lacking essential pages or not having quality content. If your site is rejected read this article to find out what could possible be the reason. Once you are accepted you need to read and follow their program policies. Break them and you will be out. There are other ad networks for beginners you could consider joining. Check out Chitika, Infolinks, Propellerads or Popads. If you don’t like ads the following will give you ideas on how to monetize a website without ads. Are you passionate about weight loss, dance, cooking? Anything you passionately blog about is fodder for money, if done ethically. Whatever your skills make them work for you. Create an outline for your coaching sessions and promote it on your blog. If you want to become a certified coach but don’t know where or how to start have a look at this free insider’s workshop. # Build a reputation: To put it simply, nobody will hire you to be a coach if they doubt your capabilities. # Engage your audience: For someone to trust you as a coach, you have to show that you are open to a professional relationship. # Answer their questions, do follow ups, and be courteous in your dealings. 2. No face to face meetings. You can do Skype sessions or teach by email. 3. Convenient: Work from home, no need to travel, save time and money. One of the best ways to monetize your blog is through affiliate marketing. A subtle way of advertising products by placing them in strategic places in your blog. You earn money from any sales that originate from your blog. Brands will give you custom links that you will either embed in spaces within your site, or merge with content you have produced. # If you are just starting with affiliate marketing read the post below to start making money ASAP. # Do they have products that relate to my niche? # Do I have enough people visiting my site? # Is the product I want to promote what they need? # Am I knowledgeable on the subject or can I learn about it? # Is the product something I can try and write an honest review? 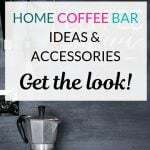 Once you know answers you will be able to choose the best products to promote. # Want to boost your affiliate sales? Then Affiliate Marketing for Bloggers is the answer. If you feel like there is a piece of the puzzle missing in your affiliate marketing strategy this course will find it for you. Carly will teach how to make money from your links because she’s done it herself. Read this article about increasing your earnings using effective affiliate marketing tactics. There is no rule that everything you produce on your blog must be free. If you believe you produce premium content, then you can put a fee on it. For instance, if you have knowledge on your niche that no one is talking about and you feel you don’t want to give it away for free then you should charge for it. Bear in mind that the content must be unique and offer something different for people to buy it. The other alternative is to have a subscription fee pegged on your blog. This can make you good money if you have huge traffic. If you are persistent in producing great content, your blog can turn into a money maker. You however have to be patient, and steadily work on building a brand (your blog) and an audience. Step away from checking your statistics every hour, and concentrate on growing the blog. With time, the money will start flowing in. It might take time, but if you work earnestly at it, it will happen. Earlier I talked about offering your services as a coach. But you can also offer other services online. Is a great way of monetizing your blog. Think about what services you can offer. Is this something you can help others with? If the answer is yes, then you can start advertising your services on your own site/blog. Write a post and tell your readers about your service and why they should hire you. Don’t be boring. Make it interesting, irresistible or even funny. If you don’t have targeted traffic yet it will be difficult to find your first customers. Promote your services on social platforms like Pinterest and Facebook. If you can afford it you could also try getting clients with Facebook ads or Pinterest promoted pins. You could also pop into related forums to find your ideal customer. If this is something you would like to do but are unsure of what to offer yet, check the list below to help you get started. The list doesn’t end here. These are just a small example of services you could offer. Just think about your skills and go for it. If you don’t know how to become a virtual assistant read Melissa’s kindle book Become a Successful Virtual Assistant. Everything you need to know about VA in one book. 1. If you an expert of what you do you can charge a lot of money for your services. The more specific and difficult the more you can charge. Once your blog start getting a good amount of traffic think about collaborating with other brands. There are several brands and companies out there looking for people to collaborate with – of course at a fee. They want bloggers to promote their content through video, content production, mentions and reviews. You can strike a deal after doing research and sending proposals to some of the big brands. They will work with you for a fee. But before you get too excited you should know that there are a few tricks and facts you must master before you approach any brand. You will need to have a big audience/traffic. Before a brand spends a dime on you and your blog, they have to know what is in it for them. If they want you to endorse a product, they want to be sure it will reach a large mass of targeted people. Think of your blog as an advertising platform and ask yourself why they should work with you. Building a big audience requires you to churn solid content, promote your blog through social media platforms and find ways of becoming more visible. Your content should be in line with the sponsors: There should be synergy between the content you produce, and what you are promoting. Your blog’s content cannot be about animal protection and being vegan, yet your page is littered with adverts and promotions on benefits of hunting or eating animals. Do not underestimate your audience: the same way you reach for the remote and change channel when adverts come up is the same way your audience will shift if you overbear them with adverts. Writing an e-book is another effective way to monetize your blog/site. E-books are simply books that have been published in a digital format. This electronic format makes it possible for such books to be downloaded, read and shared on digital devices such as computers, smartphones and e-book readers. E-books have become very popular in recent years due to the convenience they provide. Unlike traditional hard-copy books which tend to be bulky, you can easily fit several e-books on a smartphone or e-book reader and read them while on the move. E-books are also easier to obtain as they can easily be found over the internet and downloaded instantly. You can write an e-book on almost any topic, from instructional manuals to fiction and sell these publications on your blog. # The first step to writing an e-book involves selecting a topic to write about. This could be an interesting story that can be turned into a novel, or a collection of profound thoughts and ideas. It could even be an instruction manual to guide readers on how to do something such as investing in stock. # Now you need to think about the title. Avoid being bland and boring. Think of an irresistible and enticing title. # The next step involves creating the outline for the book. Think about the colors, fonts and images you are going to use. How many chapters do you want it to have? What will each chapter contain and how will you organize your thoughts to create a compelling and free-flowing publication? After you come up with ways of doing all these then you can start writing your book. The ideal word-count for an e-book is said to be between 10,000 to 75,000 words. # Time to edit – After you finish writing your book, take time to go through it and edit any mistakes and poorly-written parts. You could hire an editor for this part. # You also need to think about creating the cover for your book. Graphic designer skills will be a plus here but not the end of the world if you don’t have any. You can always hire someone to create the book cover. You can hire someone from Fiverr at an affordable price. Make your book cover stand out. The saying “Don’t judge a book by its cover” doesn’t apply here because most people will. # Once your book is complete, you can upload it on your blog. Provide a brief overview stating what the book is about and why people should read it. Set a reasonable price for your e-book and provide the different ways through which anyone interested can make a purchase. For example you could give buyers the option of paying through PayPal, credit card or bank transfers. Once someone makes the payment, you can send them a link through which they can download your e-book. Lastly you need to promote your e-book. Share it o social media, forums, related websites, guest posts or your list. 1. If people find your e-book helpful and it becomes popular there is a good chance that it will continue gaining sales for years after you release it. This makes it a perfect way to earn a passive income. 2. Writing an e-book can help to boost your position as an authority in your field. 3. You can use your e-book to increase consumer awareness for your brand. Your next step will be promoting your book. Where do you promote it? # To your readers on your blog. Place it in a prominent place. Above the fold and end of posts are good placements. # Through SEO. Do keyword research and use the keywords on your post. # Use social channels. 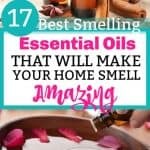 Even you can use several of them I will start with Pinterest. # Make your own affiliate program and have others promote your book for a commission. # Promote it to your list. Don’t have a list yet? Read the next section. Email addresses provide an effective communication channel between you and your potential clients, no matter what you offer. You can send bulk emails to offer some type of advise/tips, talk about your new product or promote affiliate products. A good email list comprises of the email contacts of people who are likely to have an interest in whatever product or service you offer. This will ensure that most of the information you send actually appeals to them and doesn’t end up being tagged as spam mail. In order to do this you need to include an opt-in form on your blog where people can sign up to receive regular updates from your blog. You can install an auto-responder tool that can help you send even thousands of emails with a simple click of a button. 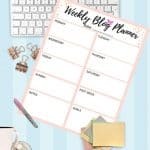 If you have items that need to be sold on your blog, you can send emails to everyone on your list with information on whatever is being sold with the hope that some of the recipients will show interest. Whether you are an affiliate marketer, sell your own products or offer your own services, an email list is an indispensable resource that will help you determine the needs of specific subscribers. This way, you can only send them promotional materials for the products that they are likely to relate to. What are the benefits of having a list? 1. Emails offer a direct communication link between you and your clients. 2. Email lists present an effortless marketing approach as you can reach thousands of people by simply sending a single message to all of them. 3. It is much easier to know the interests of the people on your list and you can therefore know what type of products they are likely to be interested in. Email marketing might seem simple but there are some tips and techniques you need to know to really succeed with it. 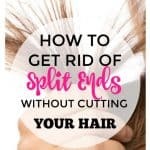 Check this article to find out how to do it the right way. The internet has made it possible for people to access knowledge on almost any field without having to set foot in an actual lecture hall. If you possess a high degree of knowledge or skill regarding a particular subject, there is a high likelihood that someone out there is willing to pay a fee in order to learn some of the things you already know. The most sought after courses include foreign language tuition, coding and financial literacy classes. If you wish to offer online classes, the first thing you will need to do is choose a subject that is directly related to your blog’s content. For example if your blog focuses on matters relating to financial investment, you can offer a course to teach people how to effectively trade in the stock market. You should then break down the course into smaller sections that can be covered separately as individual lessons. You can then create a write-up on your blog to inform potential clients about what the course entails and how it can be beneficial to them. Such a write-up can include some of your credentials to prove to your clients that you have the right education or experience to fulfil their learning needs. Once the course outline has been developed, you should choose a mode of delivery which suits you best. Online courses can be delivered through pre-recorded video tutorials, through provision of online reading material or via live video sessions. Regardless of the method you use to deliver your lessons, you should always ensure that learners can easily reach you whenever they have questions or if they are in need of further guidance. Finally, you will need to state how much you will charge your students for the entire course and how they can pay for it. To attract more clients, you can come up with a flexible payment schedule such as providing learners with the option of paying the fees in instalments or offering bonus lessons for free. What are the benefits of offering online courses? 1. Just like writing an e-book, offering a personalized course can also increase your credibility as an authority in your field. 2. By offering an online course, you will be able to promote other related products such as e-books. If you are already giving free and helpful content you could ask your readers to make a donation so you can keep writing more awesome content. This works best at the beginning when you don’t have enough visitors yet to make money. There is a lot of hard work involved in maintaining a site/blog so maybe someone is feeling philanthropic and wants to contribute. Remember that this option is not as sustainable as others, but it can work for a short period. There are plugins you can add to your blog that will make the donation option easy to implement. Do not be pushy while asking, it will put people off. Great! If you are reading this you have got through the whole post. Is a long post, so kudos to you. Now is time to go and implement the best ways to monetize your blog. That will depend on your skills and what you think will work best for your audience. Mix your monetization models and keep an eye on your analytics to discover what your visitors are more interested in. 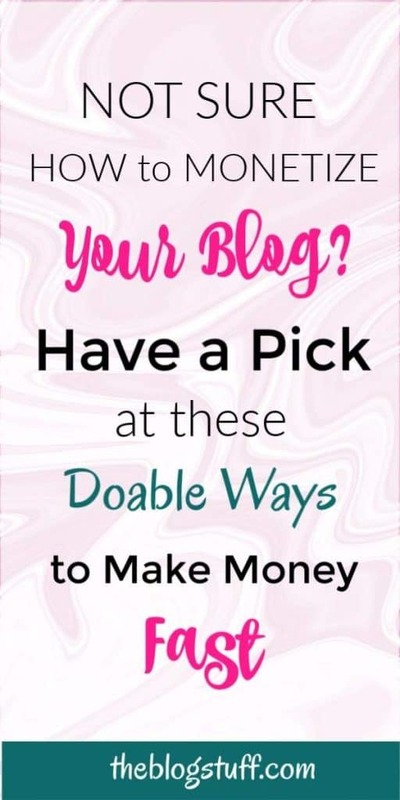 Do you use any of these ways to monetize your blog? What’s your favorite? Drop me a line below. Free Mini Traffic Challenge – Boost your blog’s traffic in 5 days implementing easy tasks. Affiliate Marketing for Bloggers – A complete course that will show you how to make more money from your links (and why you are not making the money you want). Coach Training Alliance – How to become a certified coach. Fiverr – Design your e-book cover or other blog tasks you want to delegate. Become a Successful Virtual Assistant – You can make a lot of money working as a virtual assistant. Get this guide if this is the path you want to go. I am thinking to monetize my upcoming blog with Google Adsense but I also want to increase my revenue with affiliate marketing. Do you think is a good idea to use both at the same time?